Welcome to The Pearl! Classic finishes, upscale furnishings, linens and décor make The Pearl a perfect choice for wine country living. Centrally located between George Fox University and Downtown neighborhoods, this home is close to shopping, dining, transportation, and family-friendly fun. This four bedroom, three and a half bath Craftsman home retains its 1920's charm while offering modern amenities including an electric vehicle charge in the car port and the delightful outdoor living space is a safe fenced area for your four-legged family members to enjoy! The main living area is all a glow with stunning crystal chandelier and gas fireplace with tile hearth. Large picturesque windows bring the outdoors in and traditional Craftsman millwork can be found throughout the space. The comfortable seating area is a great place for you and your guests to gather. In the game room, you will find wooden versions of classic board games, like Monopoly and Scrabble, as well as a beautiful upright piano for your use. At mealtime, enjoy time together in the dining room, where Arts & Crafts-style details blend seamlessly with a contemporary dining set providing seating for ten. Original built in cabinets line the walls and a modern crystal chandelier set the luxurious mood for your home cooked meal. Prepare meals for your group in the updated kitchen, complete with a full suite of stainless steel appliances, including a Dacor professional gas stove, and everything you could need to prepare a gourmet meal. Well stocked with high end glassware and dinnerware, brand new cookware, and a cozy breakfast nook for friends to spend time while cooking! Relax in the Mezzanine den with a 50” flat screen TV and cozy couch for movie night! In the basement living room, you'll find another 50" flat screen TV, equally cozy couches, and a bar for a more "grown up" movie or sports night! The second floor bedrooms include a master suite with a king bed, ample closet space and ensuite bathroom with tiled walk in rain shower and dual sinks. All bedrooms have luxurious, plush bedding, a pair of robes and luggage racks making your stay feel as if you are at The Ritz! The second bedroom with a plush queen bed and the third bedroom has a queen bed, a large closet with a daybed tucked cozily into the eave of the house, and lots of closet space! Additionally, the washer & dryer is located on the second floor. In the lower level, you will find the final full bathroom with standing shower and a plush and cozy bedroom with a queen sized bed. Progressing outdoors, guests will find a beautifully landscaped backyard excellent for entertaining! The patio features a large outdoor dining table and multiple outdoor nooks makes the backyard a place of total relaxation. A brand new Weber natural gas BBQ will help bring al fresco dinners to life and a lovely firepit to gather around will bring the perfect evening to completion. They were very fast and responsive. 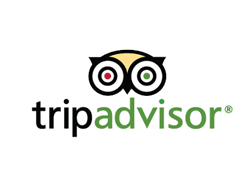 They shared recommendations and made the stay a breeze. The house was immaculate and the service was too! Overall an amazing experience. Top to bottom every detail was thought through. A beautiful home that is comfortable and stunning. I would stay again and recommend to anyone looking for an amazing wine getaway. Highly recommend this house. The design inside is gorgeous and you have everything you would ever want. It was a fantastic place for 5 women to stay and have a great time. Just perfect. The hosts aren't just super hosts, they are SUPER hosts. I loved the house, and working with them. 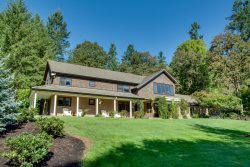 They are fabulous, and this house is really a gem for a visit to Oregon wine country. Downtown Newberg is really fun, too. Stay here if you're visiting Oregon wine country. This is a great house in a great location, and the hosts are truly SUPER hosts. All details were communicated very well. Questions were answered very timely. LOVED the house. Lots of character. Beautiful place with cozy front porch and fun back patio. Beds and linens were far better than a hotel. We loved this house and the location. We went winetasting in Newberg, Dundee and McMinnville. Quick drive to Portland and the airport. We will be back! Cancellation Period: 30 days prior to arrival. If you cancel before the 30 days, the total cost will be refunded to you (with the exception of the reservation fee) . If the reservation is canceled within that time period, it is non-refundable. We charge a pet fee of $100 per dog, with a maximum of two dogs, and this is non-refundable. If you happen to be traveling with a different type of animal, please check with us prior to booking.